pittsoccer33 wrote: I'm an inverter too. I think that comes from N64 - push the stick forward is bend forward. Pull the stick back is look up in my head. ... isn't that the normal way? Your wording kind of confused me. I used to be that way. Now I can never do it though for some reason. Up has to be up. When I play a FPS game with a controller I set it so that pushing the right thumb stick looks down. Pulling it back towards me looks up. I haven't played anything on the PC in a while, but I do that the other way Moving the mouse to the top of the mousepad moved the cursor to the top of the screen. Pulled the mouse back towards me lowered the cursor. Just like when normally using Windows. Honestly I haven't even paid attention to the whole invert/normal stick configuration thing since the first Halo where they made you try both. Probably why PS's post sounded weird. Inverters almost always played goldeneye heavily. Took me a while to wean off it. I miss Goldeneye. Perfect dark, too. I'd love to see those games updated for next gen. consoles. And not the crap remakes and sequels that have been tried before. Just the original game on the new engines. That'd be beautiful. Yeah, so...I picked up Red Dead Redemption for $5 at gamestop. I had already played and loved it, but had traded it in eons ago (when it was still worth something). It's one of those ones that I've always been sorry that I traded. So I pop it in, go to load my saved game......and it's not there. I must've deleted it at some point. If my memory serves, I was at about 85-90% completion. I had played through the ending of the story, so at least there's that...but all of the outfits/weapons/perks/multiplayer etc. is gone. I did start it again, but we'll see how long I stick with it. It is admittedly refreshing to play a sandbox game with absolutely no regard for the story. I can putz around as much as I want. But that's awful for aiming in a shooter. Jesus. Good maybe only for flying an airplane. malkinshair wrote: Yeah, so...I picked up Red Dead Redemption for $5 at gamestop. I had already played and loved it, but had traded it in eons ago (when it was still worth something). It's one of those ones that I've always been sorry that I traded. So I pop it in, go to load my saved game......and it's not there. I must've deleted it at some point. If my memory serves, I was at about 85-90% completion. I had played through the ending of the story, so at least there's that...but all of the outfits/weapons/perks/multiplayer etc. is gone. I did start it again, but we'll see how long I stick with it. It is admittedly refreshing to play a sandbox game with absolutely no regard for the story. I can putz around as much as I want. I've had it for like 2 years and haven't played it yet. I think you get to drive a horse, so that automatically makes it a good game, imo. I'm kinda having fun with Thief now, but after that I'm open. *I drive a horse. I don't ride it. I think it sounds funnier. How does preordering games with Amazon work? I have Prime. I assume the game is shipped on it's release date? joeyg412 wrote: How does preordering games with Amazon work? I have Prime. I assume the game is shipped on it's release date? Prime used to get you "Release Day Shipping" where they would try their best to get you the game on the actual release day. But its been so long since I've ordered a game from them I am not sure if that changed or not. Also if anyone cares Battlefield Hardline is already $40 at both Best Buy and Amazon. You will get it on release day...at least with prime you do. Before you place your order you will get like 3 shipping options. One will be release day delivery then two later options. Every game ive pre ordered from them ive either gotten on release day or a day before. I think maybe thats a bit of the problem - I apply that logic to everything - looking, aiming, flying a plane, swimming, moving the camera, whatever the game entails. Its just what seems natural. Similar to how I think its crazy that most hockey players that shoot "left" are right handed and swing a golf club "right." I tried the Titanfall training mode the "normal" way yesterday and just ended up walking into walls. If you want to play with this demo on your own you can on Windows, Mac, or Linux as long as you have the Unity plug-in installed. Playing Metroid Prime 3 right now. Man I hope Retro Studios next game is a Metroid game. Wow, made it in the topic. Had to get rid of some cobwebs to enter first though. So I just purchased F1 2015 for the PS4. On another note NHL 15 updated yesterday, 1.85gb update. Pittsburgh Penguins have finally got their alternate jersey inserted. The did previously have the 90's away jersey with the 75 years logo but the Xbox 360 of NHL 15 already had the real alternate jersey since the early updates a looong time ago. 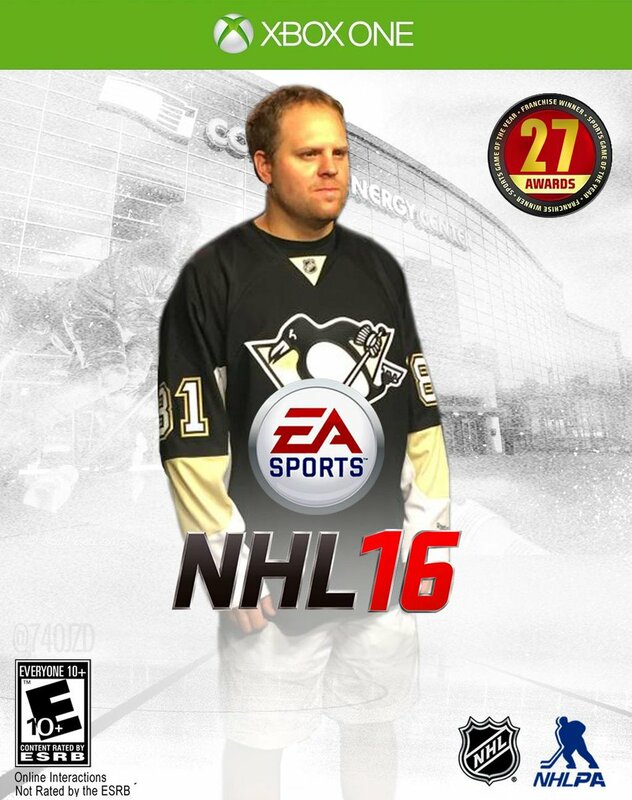 And now I downloaded NHL 16 EASHL beta. Anyone with a PS4 on this? Got my Atari 2600 from my mom's attic while visiting but need to get a $2 piece at radio shack to connect it to my tv. Will be playing Space Invaders! Got all my old Atari 2600, 7800, NES and SNES working. Genesis and MAME is next!